On July 10th, the App Store will celebrate its 11th birthday. It feels like only yesterday that Steve Jobs outlined his utopian vision of an accessible, affordable and innovative online marketplace for mobile video games, yet now iOS has outlived many major consoles and handhelds, and is one of the longest-standing platforms of all time. Most impressive of all, however, is the fact that iPhone gaming has done all this without an obvious killer app. With the legacy of the App Store becoming an increasingly relevant topic as Apple continues to ruthlessly modernise its platform, it’s more important than ever to put a spotlight on the most influential titles and ensure that, through one way or another, they can be experienced by both new and old gamers long into the future. Rolando: Royal Edition ($2.99) has been the textbook example of an iOS classic that really could stake a claim as the platform’s flag bearer – but despite developer HandCircus’s work in remastering the game for modern devices, does it hold up to modern mobile standards? Unsurprisingly, the answer is an emphatic yes. The App Store has changed dramatically since the original Rolando released in 2008, however whilst still being as captivating to play as it once was in 2019, the game feels even more crucial than it did back when it was the first true premium IP on the iPhone’s then-tiny screen. Everything about Rolando exudes magic and charm – whether in the beautiful 2.5D environments, the lively characters (each with their own unique and memorable personalities), the lighthearted narrative or the meticulously crafted levels across the game’s four distinct environments. The world map folds out like a stunning diorama, and some adorably catchy music ensures that even the most frustrating puzzle remains fun and lighthearted. Rolando is a breath of fresh air – in part due to HandCircus’s commendable renovation work on its dated (yet arguably timeless) source material, but also as a result of the creativity and freedom that was abundant during the early App Store days. This is especially relevant when it comes to Rolando’s control scheme. 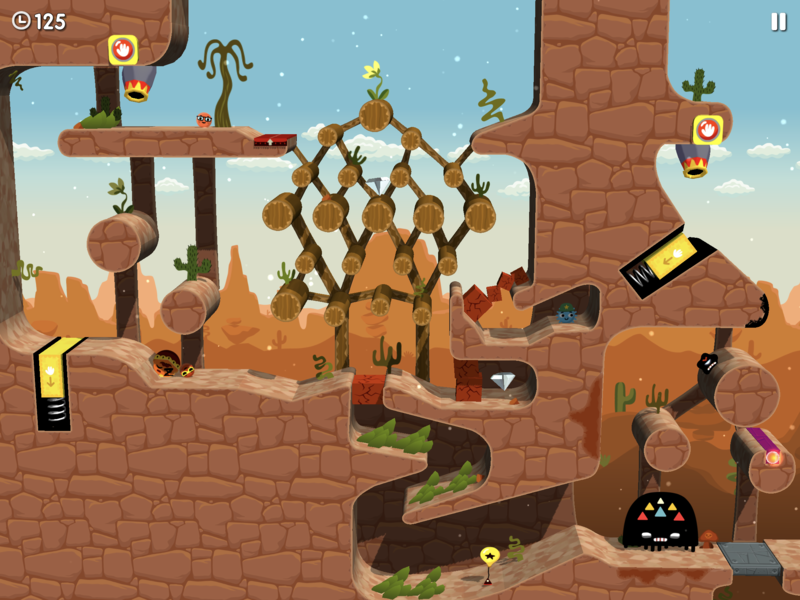 Over the course of the game’s deceptively lengthy duration, you’ll be tapping, swiping and tilting your characters across tricky contraptions. Rolando uses almost every input you can imagine on your iOS device – and yes, motion controls are mandatory. If you’re always on the move, this can be somewhat of an issue – you do need to be sitting down and relatively stationary to be able to manipulate the protagonists through some of the more calculated jumps. In the early days of the App Store, this was usually seen as a negative, as every developer tried to shoehorn in gyro controls with no consideration of their relevancy or convenience. Rolando not only uses them to great effect, but it feels so much fun to experience a game built around this interesting and intuitive control scheme again. For example, Rolando’s bonus levels act like the classic iOS labyrinth games, where you have to tilt your device 360 degrees to ensure your ball bearing (or, in this case, Rolando royalty) reaches the end of the maze. It felt faintly ridiculous doing this with an iPad Pro in a stuffy coffee shop in the heart of London, but when you’re having this much fun, it’s impossible to complain. The game’s level design goes a long way to utilising the variety of control inputs, and no one idea overstays its welcome. The best levels are the ones that require multiple Rolandos to perform different roles – for example, the brash, cockney Ronnie may have to go and clear out a path using bombs and rotating platforms, whilst the nerdy Colin escorts the King safely past hordes of the antagonistic and entirely lethal Shadow Slabs. New Rolandos with unique attributes, such as the sticky Commandos, allow for varied challenges across levels, and also create some scenarios that offer a number of different solutions to complete. One memorable example was a level set around a giant Pachinko machine, where you sent bombs flying into crevices that needed to be tactically exploded to progress. You could just hope that the changing momentum of the explosives will eventually make them roll into the right areas, but if you quickly manipulate some of the characters – and even launch the bombs backwards – you can clear the blockages faster than before. I’m not entirely sure whether the developers intended for these multiple paths, but the room for interpretation within Rolando’s levels conjures up a feeling of freedom that goes beyond its otherwise linear structure. One aspect that makes Rolando really special is its incredible UI design. Dragging the bright yellow platforms around and selecting groups of characters through down swipes (in the same way you’d choose documents on your computer desktop) is unbelievably intuitive and effortless. This all happens with subtle audio cues, and selected elements get highlighted through a thick white outline around their cartoon appearance. It is a really minor attention to detail, but especially with Rolando’s new high-definition, 2.5D aesthetic design, it just works so well. A great example of this is a level that features the exuberant Prince, who cannot be controlled directly by the player and is constantly rolling obliviously across all terrain. With no Rolandos to stop his perpetual motion, it’s left to the player’s manipulation of the environment to prevent the Prince rolling to a particularly painful spike-induced death. Spinning, sliding and stopping platforms in time with his movement feels like operating an intricate clockwork machine, and this is in part due to how the game’s controls feel so good and just work so well. When Rolando’s strengths are so prominent, it does highlight when the game occasionally decides to not make the most of them. The Lemmings-inspired concept of having multiple characters to guide to the goal occasionally works wonders, but sometimes feels like a bit of a chore during some of the late-game sprawling challenges. When a level can be completed with just one Rolando, doing it with three or four makes it just unnecessarily unwieldy, especially if you’re attempting to acquire one of the medals that requires every character to make it to the goal alive. While these medals are optional, dodging the same obstacles multiple times (and having to restart if any mistakes are made) feels like padding – and trying to complete these more intricate challenges whilst controlling every Rolando at the same time does not lend well to game’s gyro controls. Checkpoints can be a welcome relief, but still do not stop the more impatient gamer from erasing minutes of tricky platforming based on an unfortunate miscalculated jump or roll. That being said, Rolando does provide a lot of flexibility to different play styles. You could quite easily blitz through the game’s four unique worlds within a few hours, as some levels only require a handful of characters to actually make it to the finish line. On the other hand, you could take the completionist route and try to obtain three medals within each level – one for beating a stage within a set time, one for collecting all of the hidden diamonds, and one for guiding the complete cast to the end goal. These can become deceptively tricky, and are not all necessarily obtainable within the same play-through. 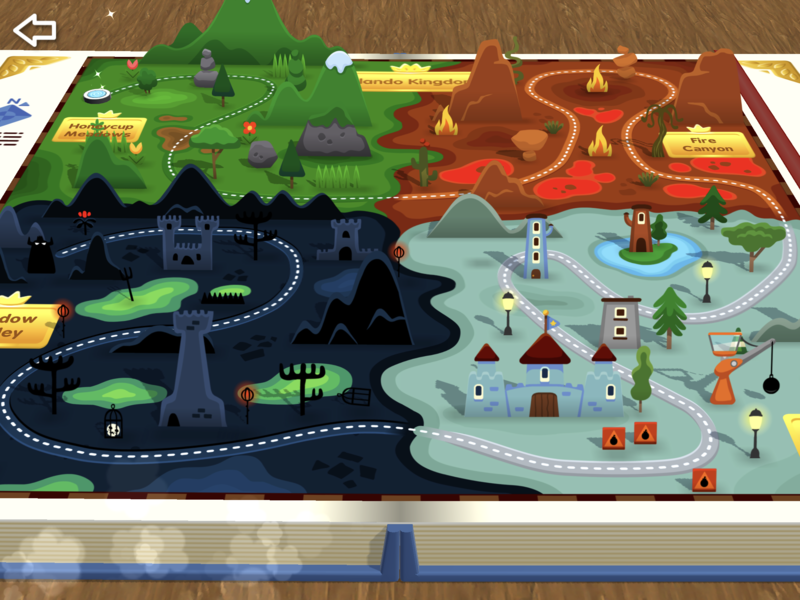 Zooming out and observing the entire stage is a necessity to plot the fastest path or to find the incredibly well-hidden diamonds – and this holistic view of a level becomes a particularly powerful tool towards the end of the game. Even during casual play-throughs, you can’t just blitz through a checkpoint without checking what lies ahead or you’ll almost certainly suffer an early demise. 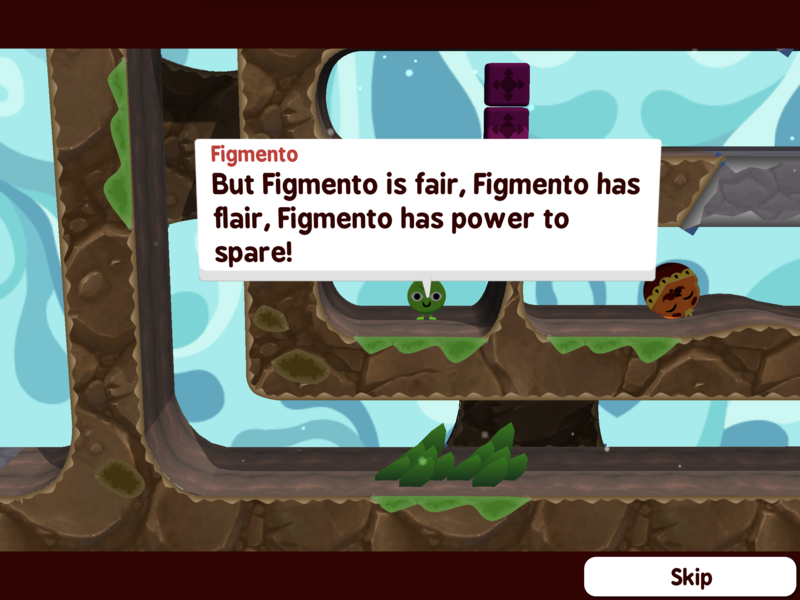 Each individual part of Rolando’s levels has a purpose, and this element of strategy elevates it into the upper echelon of iOS puzzle platformers. Rolando was the game that really got me into iOS gaming, and anyone who has read my previous articles on TouchArcade will know that I hold an enormous amount of respect and adoration for a title that played a huge formative role in my childhood. That being said, I went into this newly remastered release with a bit of trepidation. Part of me thought that this reverence could be the result of nostalgia-tinged glasses, and the original’s inaccessibility may be a convenient way for me to put Rolando on a pedestal as a part of a ‘golden era’ that we all long to revisit. As a result, it delights me that Rolando: Royal Edition not only holds up to modern standards, but in many ways exceeds them. Rolando: Royal Edition is a rare example of a game that feels truly timeless, making it an easy recommendation to any gamer, regardless of their past relationship with the series. With the likes of Apple Arcade on the horizon, there’s still a long way to go in the turbulent tale that is iOS gaming. However, Rolando: Royal Edition ensures that HandCircus’s opus will go down as more than just a forgotten footnote in the depths of TouchArcade’s archives, but instead a significant part of the App Store’s incredible legacy. Welcome back, Rolando – we’ve missed you.